Mega Man ZX... Starring Servbot? Had a lone Servbot wielded the power of Bio Metal X, Mega Man ZX would have been a very different game. Such is the premise for ultimatemaverickx's latest creation, which you can watch above. Smashing, no? I'd play it. "Call F exits the Battle Colosseum triumphant, as the people cheer her on!! We’d like to say thank you to all the Backers who contributed to making this second vote a great success! The battle got heated at times, but the Mighty Numbers stayed strong and campaigned through numerous threads to support their favorite Call! We couldn’t have done it without you, and the goodwill and enthusiasm surrounding this Poll! Thank you, Mighty Beckers!" Call H placed 3rd with 15.47% of the vote, while Call E placed 2nd with 41.14%. Well, that's that. What's your take on the results? Mega Man-athon 2 is Coming! In another instance of gaming for a good cause, the generous folks of Half Empty E-Tank are gearing up for a big 72 hour Mega Man marathon, streaming live from Magfest. They are set to play through a whole bunch of Mega Man games while raising money for Child's Play charity. The stream kicks off January 2nd. In the spirit of generosity, for as little as a one dollar donation, you could walk away with one of three big music bundles. Hit the jump below for more details. "Mark your calendars: International pledges begin December 30th for people in Europe, Australia, New Zealand and the Middle East! In fairness to people in those territories, we will be celebrating the good news with a special International Early Bird pledge level on Monday, December 30th for 24 hours starting at 14:00 GMT." As a reminder, the "early bird" pledge nabs you a copy of the game for a discount. I suspect pricing details will be available shortly. Head to the game's Kickstarter for additional details. Thanks for the tip, Emmanuel. If you're in Japan for the holiday season, you may want to drop by a game center for a chance to win one of two new Rockman figures. 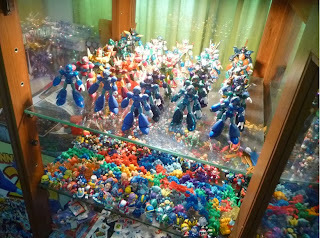 These guys are now making their way across Japan, planned to be won from prize machines and such. You can see more pictures at FansClub. It doesn't look like Big Bad Toystore will carry these particular figures. However, they are loading up on a few others. Check those out here. 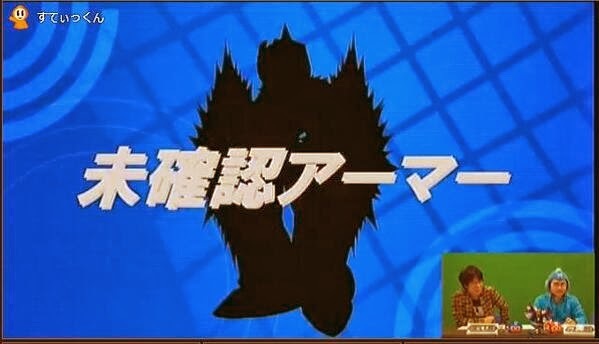 The Next Mega Man D-Arts Is...? On Rockman Unity, Ucchy is continuing to tease the Christmas surprise. After spending a night playing with his D-Arts Zero toys, Ucchy fell asleep and awoke to find an ambiguous message in his stocking. It reads: "What if you regret making me a poseable figure..."
Ooh, chilling. What sort of Mega Man character would say such a thing? 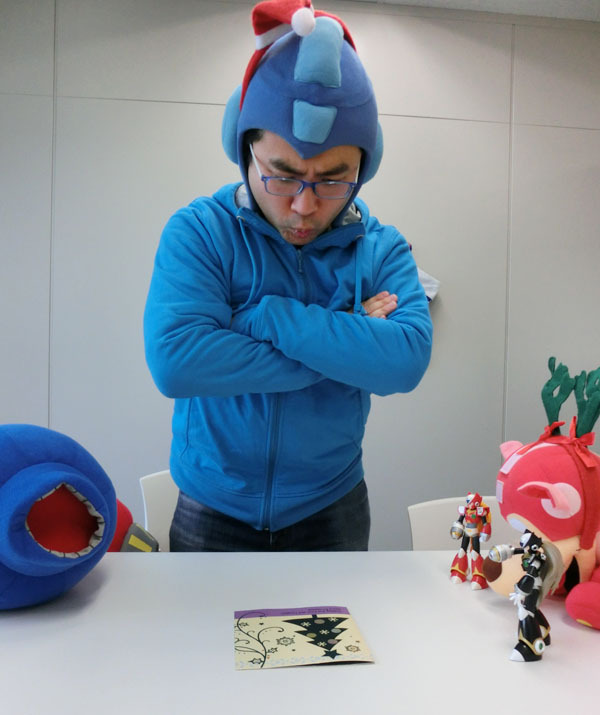 After consulting my colleagues on Twitter, we've deduced Mega Man Zero series Zero is the next D-Arts figure from Bandai. 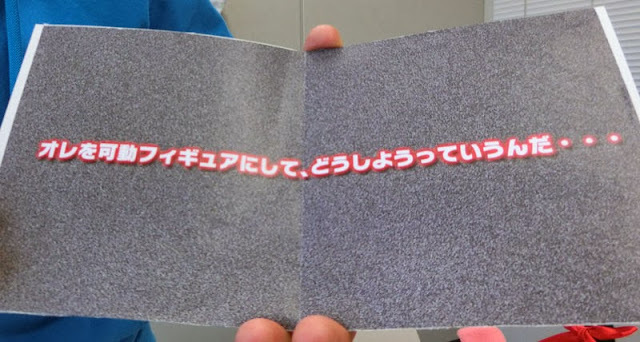 The line in Ucchy's card, apparently, is a play on one of Zero's quotes, "What if you regret making me remember" (or something along those lines). I believe it's from one of the games' commercials. More details are expected to bubble up soon. Are you ready for a fourth D-Arts Zero figure? Mega Man-athon 2: A 72 hour Mega Man marathon played live on the MAGfest game room floor. Stream begins January 2nd through the 5th. Proceeds go to Child's Play. Mega Man Battle Network Marathon V2: TeamBN kicks off their second Mega Man Battle Network (and Star Force) marathon on December 27th. Donations will be raised for the Prevent Cancer Foundation. SDA Charity Marathons: A live stream of Mega Man 1, Mega Man 2 and Mega Man 9 begins January 6th. Hit the links above for more details. It's all for a good and worthy cause so we hope you'll tune in! 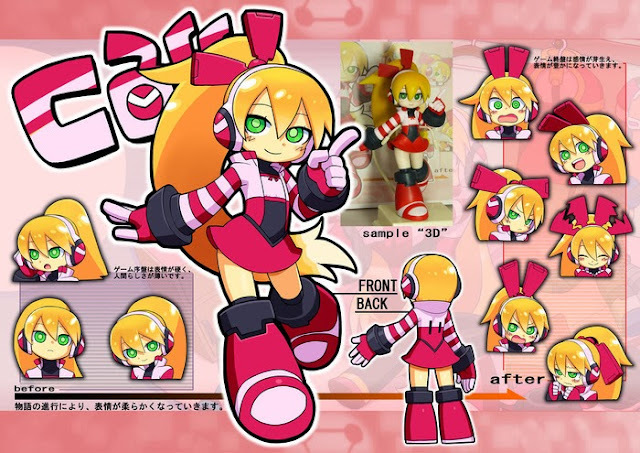 As promised, Comcept is giving users the chance to vote on their favorite design for Beck's partner character in Mighty No. 9, Call. We're down to three contenders: designs E, F and H. The Call with the most votes will go on to appear in the game. Voting is limited to Kickstarter backers only. Check your e-mail for a link to a SurveyMonkey poll. The URL is unique for each backer, exclusive to each backer. You have until the end of Saturday, December 28th at midnight PST to get your vote in (one vote per backer). The winner will be announced on the 29th. For non-backers, you can see the three finalists in full color after the jump. Happy voting! Its TWO free comic books in ONE! Hot off the heels of the ultra-successful Sonic/Mega Man crossover event, "Worlds Collide", comes a showcase issue of the hottest new storylines in both characters' universes - exclusively for Free Comic Book Day! Sonic stars in "Blast to the Past" and the origin of his Freedom Fighters! Then, on the flipside of this issue, get ready for the "Mega Man X" crossover event with this primer story!" For more on Free Comic Book Day, and to find a comic shop near you, check out their website. Get Me Off The Moon has released a new trailer for the fan-made 8-bit version of Mega Man Legends 3 Prototype Version. Everything is looking pretty smooth, and what do you know? The crew whipped up an 8-bit remix of "Your Wind is Blowing." Mega Man Legends composer Makoto Tomozawa is composing a few tracks too, so that should be interesting. The full game is due for release in February 2014. Look forward to it! Well, what do you know! It's December 17th. Today marks the 20th anniversary of the Mega Man X series. This day, two decades ago, began the long and fruitful journey of the first Mega Man subseries. Since then, Mega Man X has seen eleven games, expanded into comics and manga, and launched a heaping ton of merchandise. 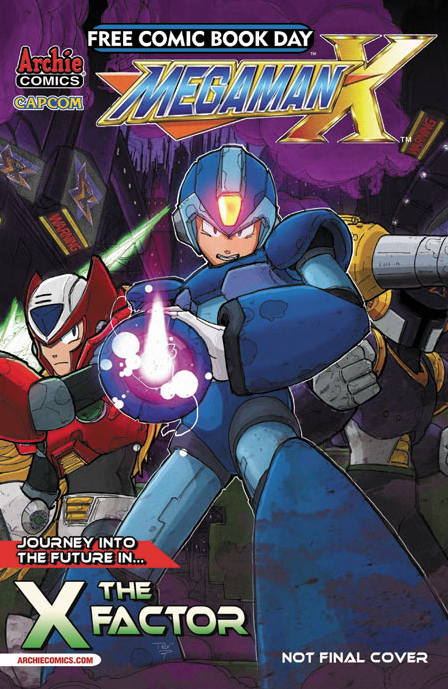 Though the series has been largely dormant since 2005's Maverick Hunter X, it has remained an enduring brand, living on in the hearts of the fandom. So how are we celebrating such a milestone? 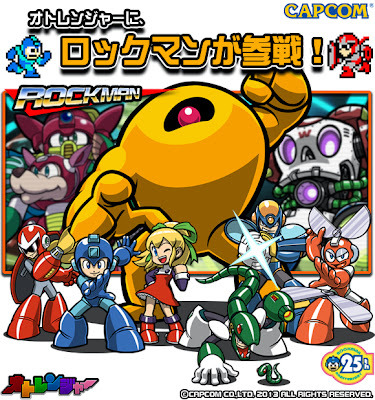 Capcom, for one, just released the 12-disc Rockman X Sound Box collection. It's loaded with music, comes with a neat little booklet, and even includes at least one unused piece from the original Mega Man X. I, for one, can't wait to hear it. Rockman X2: Soul Eraser is headed to the eShop in Japan next week. It joins its predecessor, Cyber Mission, for a mere 600 Yen. Lastly, there's a new X-themed world out for Xover. Nothing truly significant here other than an appearance by Dynamo. He's the boss, naturally. That's pretty much all there is going on officially. 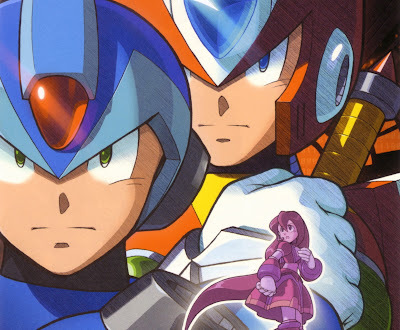 When we'll hear the true return of Mega Man X, I have no idea. In the meantime, though, I remain thankful for what we've got. If anything, just remember that Mega Man X has not made it 20 years because of nothing. It's made it this far because of you. You, the Mega Man faithful, deserve some credit too. So thank you! Owners of the 3DS in Japan will be able to download Mega Man Xtreme 2 (aka Rockman X2: Soul Eraser) next week on the 25th. It will run for 600 Yen. And with that, all previous announced Game Boy/Game Boy Color Mega Man titles are off the burner and out the door in Japan. The US and Europe? Ha, who knows. I was really hoping we'd see another one before the end of the year... we'll see, I guess. And as for you, Nintendo, get Game Boy Advance emulation up and running. I think most of us would appreciate another shot at all those GBA Mega Man titles. So here we are: day one of Mega Man's 26th anniversary. 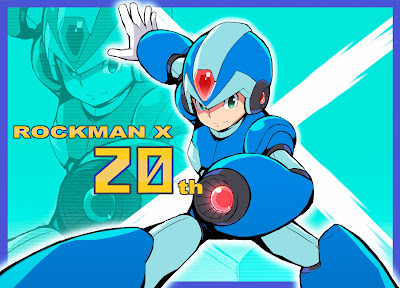 The 25th anniversary festivities are now at an end, according to Rockman Unity. The bash is going out not with a bang but a whimper, it seems. There's a small 25th ann. Rockman Xover promo event wrapping up and a new Rockman X-themed special world honoring the series' 20th anniversary (which just so happens to be tomorrow, December 18th). It's available now. Anything else? 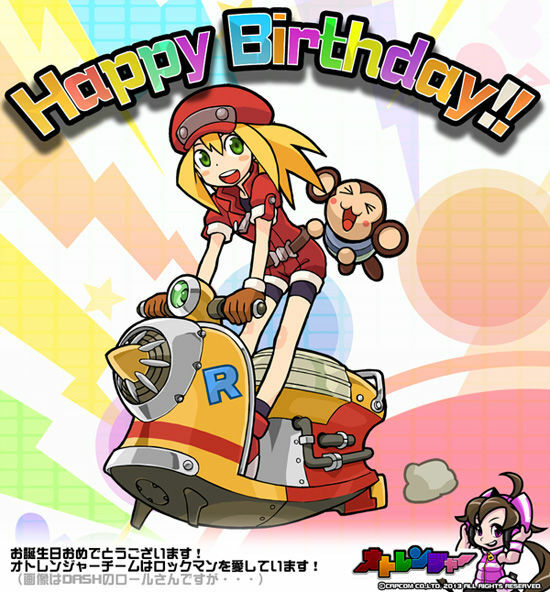 Well there's a nice piece of Roll Caskett anniversary art from the Sound Rangers team. All PSP Rockman titles have been discounted to 800 Yen on the JPN PlayStation Network. Additionally, the Rockman X Sound Box is hours away from release. That's going to be pretty sweet, right? Oh, there is one last thing. The very last picture in Rockman Unity's post shows Ucchy holding a piece of paper which promises something for "good children" on Christmas Day. Personally, I would not expect much. 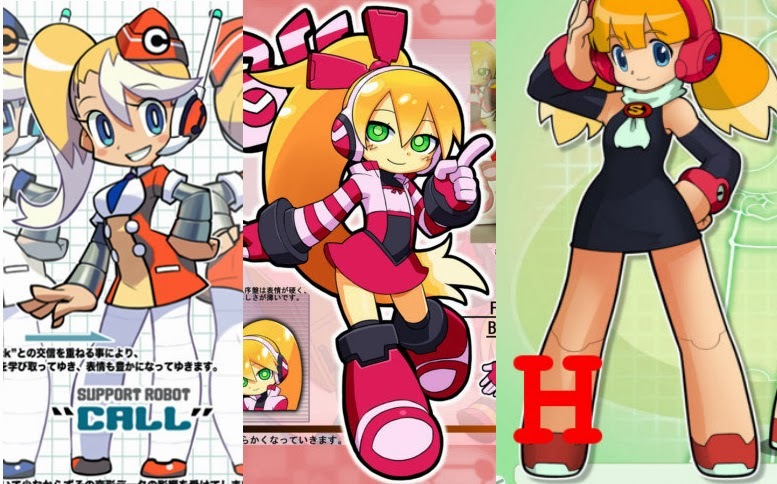 At the rate things have been going, it's most likely something Xover-related. Maybe Christmas battle memory cards (like this) or some promo event thing. I could be wrong... but honestly, I'm not feeling terribly optimistic. Well, here's to another year. At least we can look forward to Smash Bros., among other things. Have a couple of bucks to spare? Nintendo announced Mega Man X and Mega Man: Dr. Wily's Revenge are on sale for $2 on the US Nintendo eShop through December 18 at 8:59 am PST. 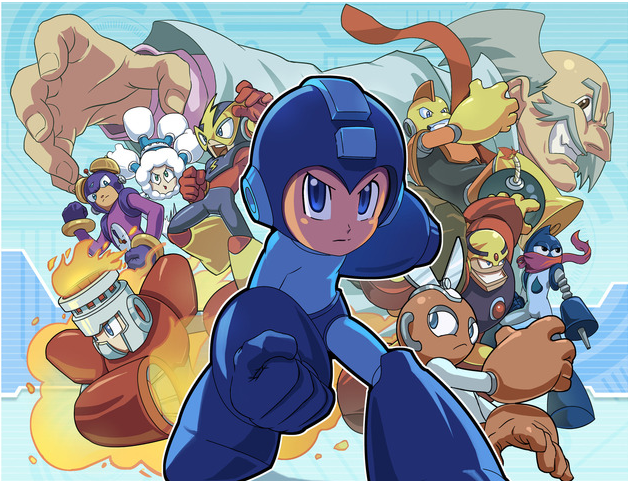 Mega Man X is normally available for $7.99, while Dr. Wily's Revenge goes for $3.99 on 3DS. The sale is part of a special "2 Games, 2 Dollars each, 2 Days" promotion, which seems to imply more games will be discounted after the Mega Man sale expires. Hey, might be something to keep an ear out for. If you haven't purchased these games already, now is definitely the time. Wednesday, the 18th will be here before you know it! Here's a bit of curious news out of Capcom today. The company have announced that both Marvel vs. Capcom 2 and Ultimate Marvel vs. Capcom 3 are going to be pulled from Xbox Live and PlayStation Network stores. 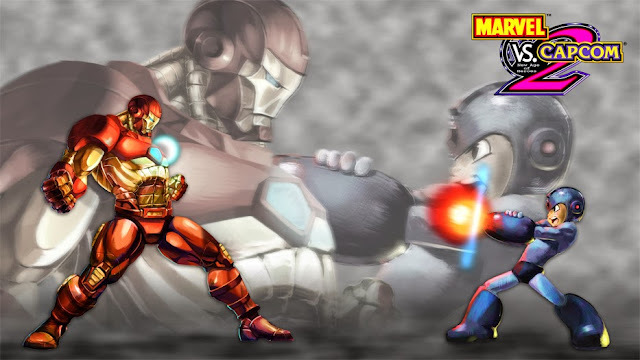 Marvel vs. Capcom Origins, however, is in the clear. The last day these games and their respective DLC is December 26th on Xbox Live, December 17th on PSN in North America, and December 19th on PSN in Europe. If you've already purchased these games, you may continue to download them beyond these dates. Also of note, a half-off sale on all DLC is being offered on PSN. Discounts on Xbox Live content will be offered in the near future. Capcom have not said why the two games are being removed. However, it is largely speculated that Capcom's Marvel license may soon expire. In any case, we'll keep an eye on Capcom Unity for more news. s December 26th on Xbox Live, December 17th on PSN in North America, and December 19th on PSN in Europe. 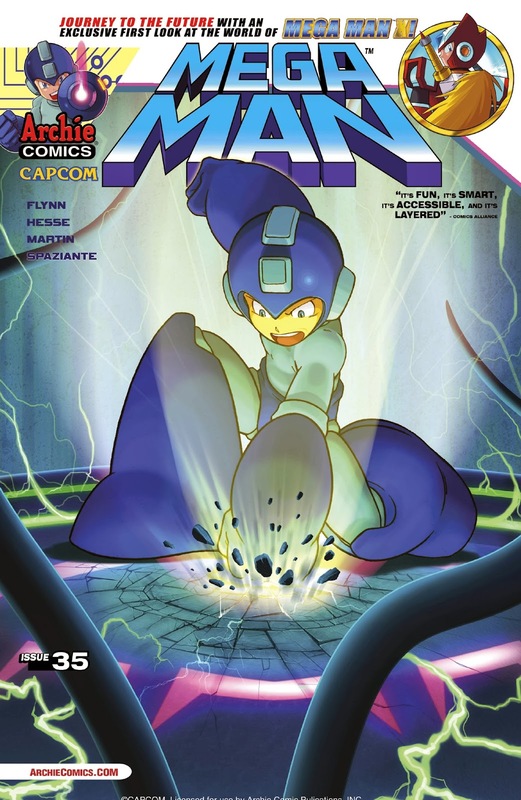 Destructoid has revealed the new covers for the 35th issue of Archie's Mega Man comic book, which is nearing its third year in print. No solicitation info is available at the moment, but from the looks of it Ra Moon will be back in some capacity. The second cover, viewable at Destructoid, focuses solely on Zero. This one is meant to represent the upcoming Mega Man X sub story. Look forward to it! 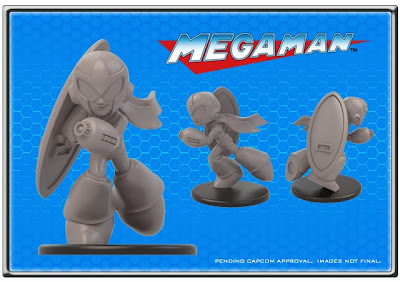 At long last, Jasco's official Mega Man board game Kickstarer has begun. The campaign is seeking $70,000 in funding. As of this writing, it's amassed over $60,000 under five hours. I think this one is going to be just fine. Now, let's talk prizes. Campaign backers can get a copy of the game for $60 as part of the "early bird" special. Additionally, a deluxe bundle, which adds support for Oil Man and Time Man and additional pieces is, is available for the Kickstarters first 24-hours for $130. 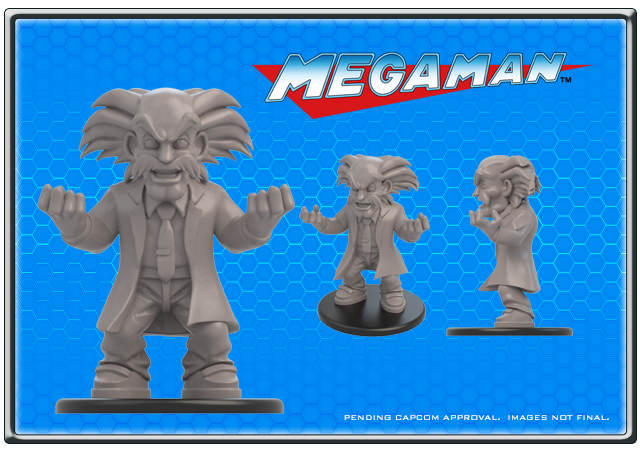 Other backer rewards include Proto Man mini-figures, tins from Jasco's upcoming Mega Man Universal Fighting System trading card game, and an art print. The board game is projected to release October 2014. You can find out more details by visiting the Kickstarter page, which is filled with concept images, a rundown of gameplay, and other fun stuff. UPDATE: It's funded. Onward to stretch goals. Well, this is interesting. Comcept are moving forward with a Mighty No. 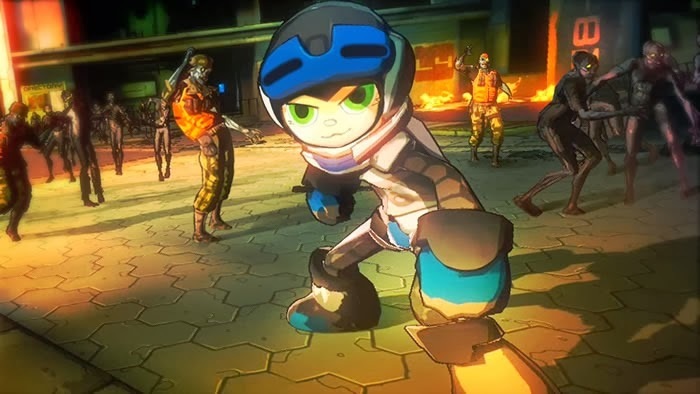 9 crossover with Yaiba: Ninja Gaiden Z. Beck will appear as a special skin in the game and will come with his own special zombie pack. You can view additional images and details available at Siliconera. Yaiba is due in North American on March 4th, 2014. 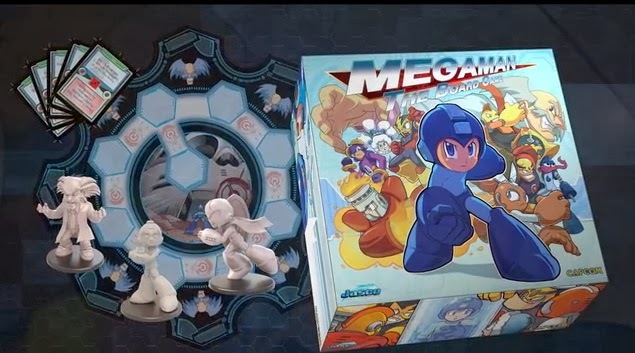 Mega Man: The Board Game is headed to Kickstarter tomorrow, December 12th, at noon central time. To celebrate, the folks at Jasco Games wiped up the above trailer. It's a nice, brief look at what looks to be a promising official product. For those unable to view the video, you can read up on how to play the game here. For additional facts, answers and question, head to Jasco's official website. 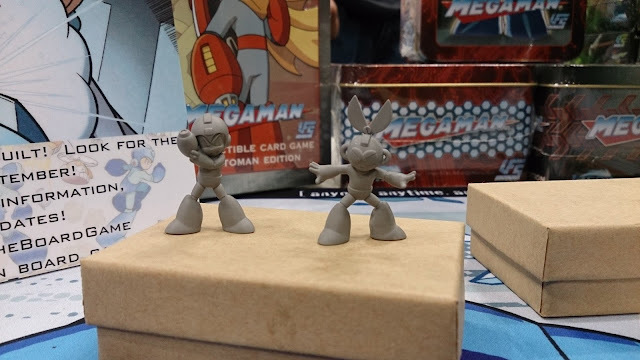 As we twiddle our thumbs in eager anticipation for the launch of Jasco's Mega Man board game Kickstarter (it's been greenlit! ), the company has released another taste of what additional funding can provide. 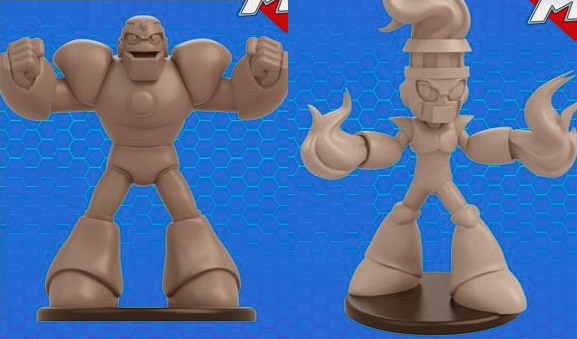 Say hello to the latest mini figures, Guts Man and Fire Man. 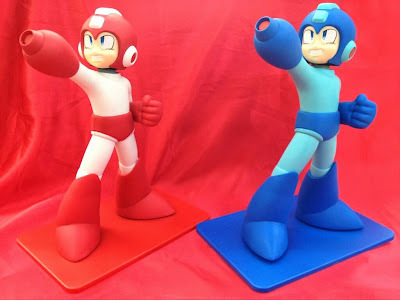 The pair join the likes of Dr. Wily, Proto Man, Mega Man and Cut Man. There doesn't seem to be an end in sight to these things, so keep an eye on the game's official Facebook page. New mini figure teasers pop up every now and then. 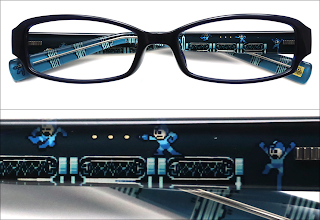 Official Mega Man Eyeglasses, Because Why Not? Capcom's 30th anniversary bash continues with yet another collaboration. 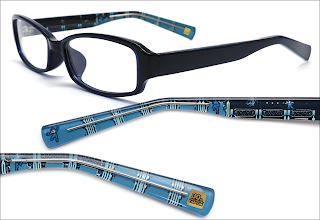 The house that built Mega Man is teaming up with Zoff for some special Capcom-themed eyeglasses designs. This includes, of course, a pair of Mega Man glasses. The right temple is decorated with Mega Man shooting through a level and the other has Dr. Wily pleading for mercy. The glasses include a case and cleaning cloth featuring various 8-bit sprites. The whole kit and caboodle cost 5,200 Yen. If you're in need of corrective lenses, though, the total price will vary. 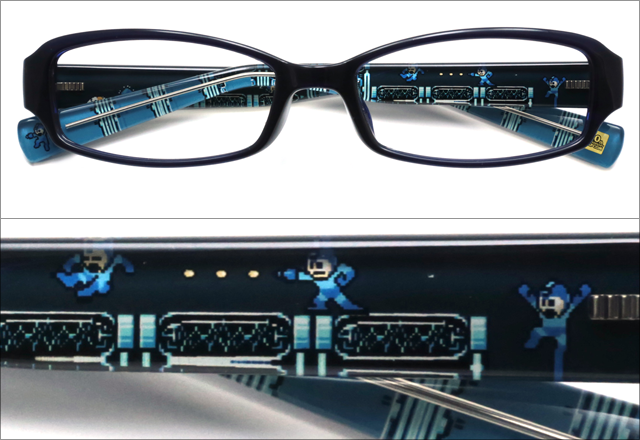 You can check out more Capcom eyeglasses at Siliconera. Sound Rangers: Rhythm & Battle! is a new IP from Capcom for iOS. It's a traditional RPG that blends Power Ranger antics with rhythm-based gameplay a la Elite Beat Agents. Soon, though, the game is about to get an infusion of Mega Man. Continuing a steady flow of animated pop-culture parodies, Monkey Box Studios has recently posted a fun Mighty No. 9 tribute. It's definitely worth a watch, especially if you've been following Mighty No. 9 since day one. Thanks for the heads up, Noah. Onward and upwards! Later this month, the 25th Anniversary Mega Man statue is being reissued through Big Bad Toystore and Entertainment Earth for $124.99. Pre-orders are now live on both sites. 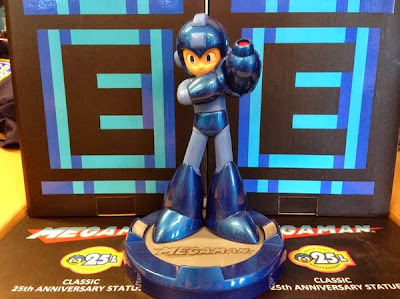 For the uninitiated, the 10-inch statue features USB-powered LED lights on the base, helmet, and Mega Buster. Each one from the Capcom Store were individually numbered as part of its "limited availability." No telling how limited this run will be, though. If you missed out on the statue the last time, you'd be wise to put in a pre-order soon. With the unveiling of OVER-2 Spec 2 last week, these were pretty much inevitable. 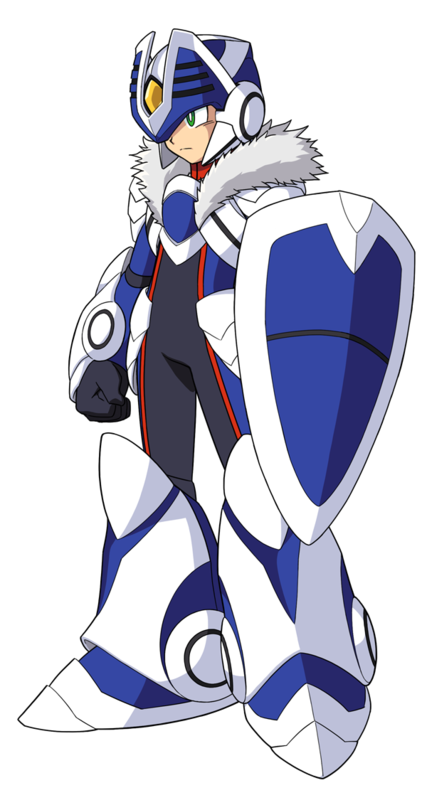 A whole batch of new armors were recently teased during Rockman Unity's "Xover TV" stream. Above is OVER-3 Spec 2; a powered up version of, well, OVER-3. See the rest of the lot after the jump. 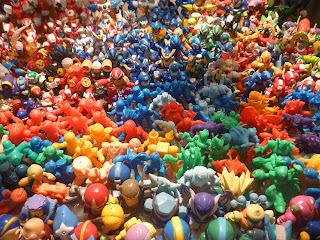 It's a sea of plastic and dazzling colors. 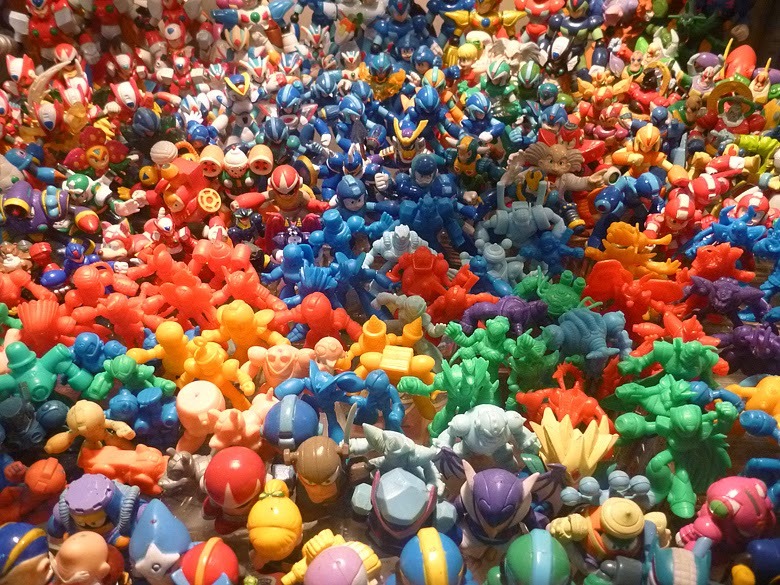 This, friends, is but a small morsel of Watchapol's massive Mega Man toy collection. Action figures, gashapons, model kits, board games, playsets. It's ginormous. There's plenty more to see at Watchapol's Flickr page. The gallery is loaded with over 500 photos of stuff. The photography is neat in its own right, too. Watchapol's recreated scenes from various games, among other things. Seriously, I am blue with envy here.